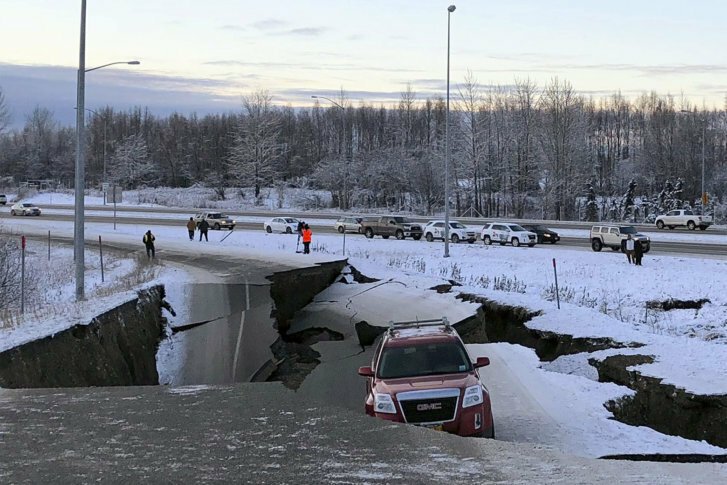 Back-to-back earthquakes measuring 7.0 and 5.8 rocked buildings and shattered roads Friday morning in Anchorage, sending people running into the streets and briefly triggering a warning to residents in Kodiak to flee to higher ground for fear of a tsunami. “This is much more significant than that,” he told reporters at a news conference. Walker leaves office on Monday, and he said members of Gov.-elect Mike Dunleavy’s staff had been involved with the earthquake response to ensure a smooth transition. “This isn’t a time to do anything other than take care of Alaskans, and that’s what we’re doing,” he said.